Source: Amber Argyle – I received this in exchange for an honest review. The fairies must never know of Nelay’s sight, for the attention of such dark and terrible creatures brings more things dark and terrible. But when Nelay’s father is near death, the fairies are the only ones who can save him. All they require is a simple promise that she’ll return the favor one day. 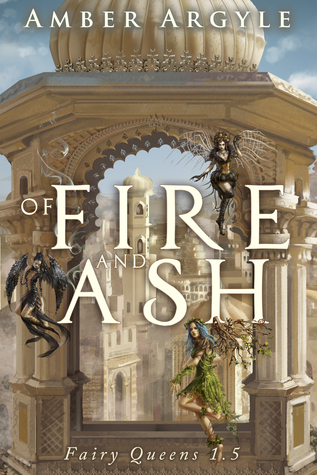 Of Fire and Ash is a novella in the Fairy Queens series, coming between Winter Queen and Summer Queen. It follows a young Nelay, before the events of the second book, and focuses on her journey into becoming a Priestess. Nelay is the daughter of a sheep farmers in a land where droughts are claiming their ability to make a living. One of my favorite things about Amber’s books are the images she paints for the scenery. I loved being able to visualize the dry land with it’s prickly scrub brush, and dangerous animals. Nelay is only 9 years old in this novella and I’m already in awe of how strong she is. She carries a sling and a spear, and can use both. She is capable of hunting for herself and traversing the land alone. It really sets a precedent for what she will be like in Summer Queen, and I can’t wait to see how she’s grown up. The story surrounding her family was sort of heartbreaking, and at other times increasingly frustrating. It does seem unlikely that they will make an appearance in the next book, but I’m very curious to see how they are faring and what they think of Nelay in her new role. 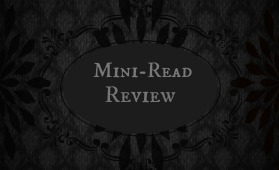 Image | This entry was posted in Book Reviews (2015) and tagged 4 stars, fantasy, novella, young adult. Bookmark the permalink. Well maybe it the future! Me too. Judging from the cover of book two, Neyrah is going to be a badass so it would be cool to get their opinions on her. Especially her brother.